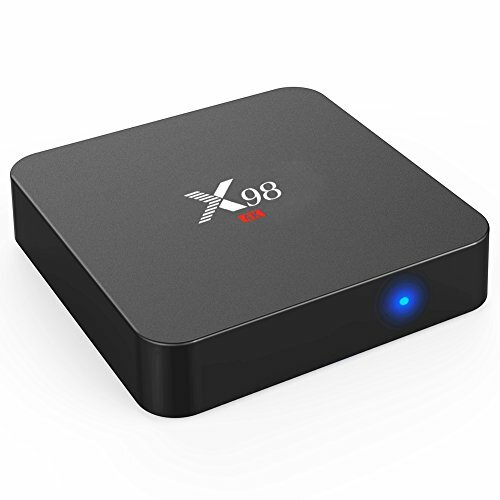 【Android 5.1system】 The x98 tv box provide high speed feedback and smooth response. The processor in this chip is anAmlogic RK3229 with a maximum clock speed of up to 60Hz Use theMali. 【H.265 video code】 Mifanstech X98 TV Box support enjoy the high-resolution video even at a low-internet-speed environment. 【BUILT-IN】Ultra HD 4K , High-Speed Loaded Stream and Smooth Multi-tasking. 【Large capacity】This android X98 pro have 1G RAM 8G ROM,support external USB hard drive,can make you enjoy the movies download on your device by connecting it to this box. 【Rich content 】With android 5.1 tv box,the users can download,install or uninstall hundreds of software, games and application programs easily and conveniently. If you have any questions about this product by Mifanstech, contact us by completing and submitting the form below. If you are looking for a specif part number, please include it with your message.